Early in 2014 that statement resonated so deeply in the hearts of Ted and Nita that they took the giant leap of faith to move to Albania as full time missionaries. Albania as a country was at one time declared atheistic and was governed by a brutal communist regime. The country finally opened to the gospel after communism fell in 1991, but the long term deep effects of a fear based culture remain. Islam and the Greek Orthodox church are the primary religious groups. Although there are evangelical works throughout Albania many churches were very quick starts that have had no lasting discipleship in place. Sadly, many of the Albanian people have a very limited understanding of a God who desires relationship with them. 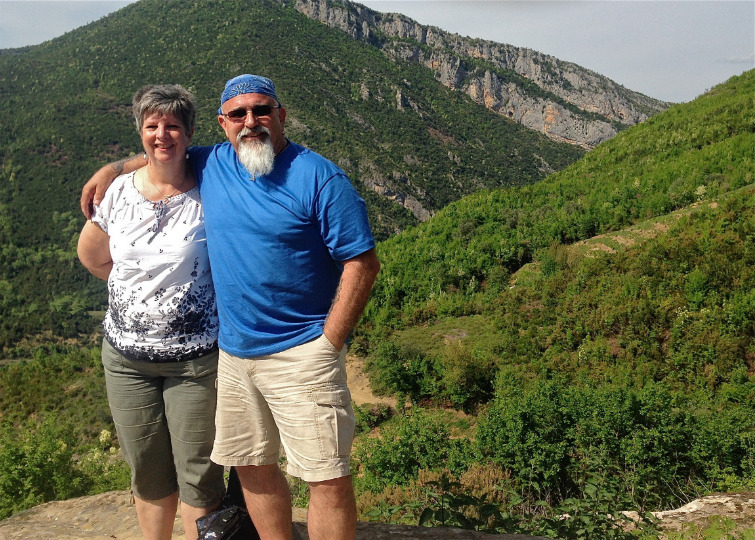 Ted and Nita bring 40 plus years of ministry experience to Albania. Nita's own journey of healing from abuse has given her a heart for the wounded that has equipped her to embrace the women of Albania on a very deep level of care. She was previously a minister of small groups and directed women's ministry as well as establishing a ministry designed for both women and men that helped them recover from the damage of abuse. Her mission is to help the women of Albania understand and experience who they are through God's eyes. Nita has recently been blessed with a solid connection with Mother’s Of Preschoolers International, which has increased her opportunities to minister to the women of Albania and Germany (with more countries to follow) and has now been recognized by Global MOPS as an advocate in Albania for moms. Ted has been involved in worship for over 20 years and has taught worship principals as well as leading worship in a variety of situations. He recently completed a 50 day Fire and Incense School of Strategic Prayer which birthed a new calling to spread God’s Glory and push back the darkness throughout the country. Ted also has a passion for the downtrodden. His desire is for them to come into an understanding of God's incredible love for them. Many Albanians have such a small picture of God that it would break your heart. Ted and Nita together find themselves very involved in the lives of some beautiful Albanian families that they have gotten to know in the Tiranë area. Outside of Tiranë they have had opportunities to share their personal stories with several churches and groups throughout Albania and love to see the doors of opportunity that God continues to open for them there. You can keep up with them at: God Loves Albania, And So Do We. Desard is the son of Festim and Merita Qelemeni. 6 years ago he didn't want anything to do with church. After 4 years in South Africa at Bible College and then returning to Albania and suffering some devastating experiences, he felt alone and abandoned by God. Our intentional friendship and God's amazing Holy Spirit have brought Desard around 180 degrees. He now focuses every day on how he can better serve God in church as well as in his secular live as a waiter in one of the most prestigious hotels in Tirana. God is using Desard in mighty ways in the area of the youth as well as helping direct the worship team.